Constant torque with an AC Flux Vector Drive. Controlled acceleration from zero to full speed prevents shock loads. Speed control through foot pedal or potentiometer. Instant reverse. Can wind round or shaped wire. Check out the link for specifications and operating instructions for ACE’s coil winding Cut Off Saw model no. 750. Operate the machine safe and secure by reading the caution and instructions provided. You will find information on some of the significant specifications of ACE’s Tailstock models 65 and 66 in this link. Recommend for reading before purchasing these models. Check out the link for your understanding on the set up, coil removal and specifications of ACE’s Heavy Duty Loop Winding Fixture model 15-HR. You can continue reading the article for details on the model 15-HD Heavy Duty Loop Winding Fixture with Custom Mandrel. The link provides you with information on the specifications and features of ACE’s Loop Bar models 15 and 15-S. Visit the page for such details. A clear understanding on the features, advantages and construction details of ACE’s Transformer Adjustable Winding Fixture (Model No.18 comes with quick release pneumatic system) helps you while planning to buy the model. Same is provided in the link. You can visit this page for basic essential product information on ACE’s easy-to-release single phase winding head model No. TL-1500. You will find the link useful while planning to buy the model. Are you planning to buy any of the Group Winding Heads coil winding machines from ACE? Here are some of the essential information on the 5, 10, 11, 12 models that feature easy set up, consistent accuracy and sturdy construction. Searching for a right system to prevent tangled, broken, stretched or damaged wires? Invest in ACE Multi Reel Wire Rack model no 43 to fulfill your requirements. The page is recommended for reading if you would like to know about the design, working principle and construction of the model. Before buying any Heavy Duty Coil Winder models like HD-03, HD-05, HD-10, and HD-20, it is recommended to go through this page as it details all the necessary information including features and specifications. ACE’s Auto Stop Coil Winders are available in model numbers 75, 76 and 77. This article can be relied upon for more information on the features and general specifications of these durable and cost-effective Constant Torque Winding Machines. 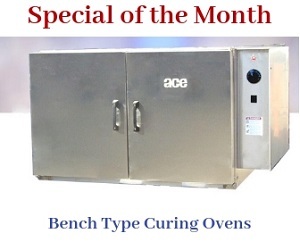 Planning to purchase ACE’s Light Duty Bench Type Coil Winder Model no 74? Then, you must visit this page. Glance through the page as it details the features, specialties and specifications of the model in a reader-friendly manner. Here you find some of the essential information on ACE’s coil winding models 70, 71 and 72. The page is recommended for reading by those who are planning to invest on any of these models. You can invest undoubtedly on ACE’s Bench Type Hand Coil Winder Model No: 40 as it is known for its exclusive design and endurable performance. You can choose the model when your application requires winding a small quantity of coil. Click the link to open a page that gives you some of the essentials of the model. Would you like to know the significances and features of ACE’s Programmable Winding Machine models AEH-01 and AEH-11? Here you will find them. Are you in search for a winding machine that perfectly winds ACE’s small transformers, ignition coils, and inductive coils? Here you will find some of the must know information on ACE’s durable and compact Programmable Winding Machine Models AEX-01 and AEX-02. Accurate information regarding customers’ application requirements helps ACE to suggest them the right coil winding model. Here you find “Request for Quotation Data Sheet” for quoting customers’ application requirements. Make your winding safe and long lasting. Tips for wire tension and wire size for the industrial and domestic applications. Have questions on the design, working principle, features and specifications of ACE’s De-reeling and Tension Stand model 438-1B? You will find answers to all your queries by visiting the page. Looking for cost-effective and convenient methods available to prevent tangled, broken, stretched and damaged wires? ACE’s Wire Racks model numbers 41 and 42 are the ideal solutions. Here is some of the essential product information. Check out the link for some vital information on the four models of ACE’s Permanent Magnetic Tension device. Know about the design and operation principle of these precision-torque tension devices by visiting the page. Are you searching for a device that provides well regulated and easily changeable wire tension? ACE’s model no Capstan Tension device Model no 4901 meet your requirements. Check out the link for the model description. Choose ACE’s exclusive range of Constant Tension Device with Vertical Linear Slide Assembly when you need to apply constant adjustable tension to any kind of wire or foil. Gain more details of the model by just clicking the link. Check out the page for Air operated 48 series Pneumatic Tension Device from ACE that helps you in achieving remote tension control. You will find this page useful while you planning to purchase the model. ACE’s Mechanical Tension Control model no 46 is known for its high-efficiency and durable performance. Consider reading this page for details on the design, operation, specialties and specifications of these Mechanical Tension Control devices. ACE’s Tension Device model no.44 –TD has been made smartly to eliminate any damage to wires. The link directs you towards a page that details the model with its specifications. ACE provides high performing Tension Control and Monitor device for precision monitoring actual tension in grams. Features and specifications of this 4C -3000 model tensioning device are provided in brief in this article. Here you find some must know details of Pneumatic Tension Device with Manual Traversing and Indexing including the way it works. Why can’t you just click the link to get some idea on the features and other significant specifications of the model 4822? ACE’s Counter with Memory and Graphical Display model GL 300B can store up to 200 recipes in memory! Much more specialties and features are associated with the model. Click the link for more understanding of the product. The shape and winding quality of an industrial coil are essential to the product’s success in an application. ACE can help provide industrial coils of inimitable quality with our Model 4841 electro-pneumatic constant tension device. ACE has been catering to the requirements of electrical and manufacturing industries since its inception. We offer time and money saving coil winding machineries, which provide outstanding results. At ACE, we offer products keeping pace with evolving technologies to make coil winding processes easy and quick. Our range of three phase coil winding heads is extremely useful in winding coils without any sharp corners.